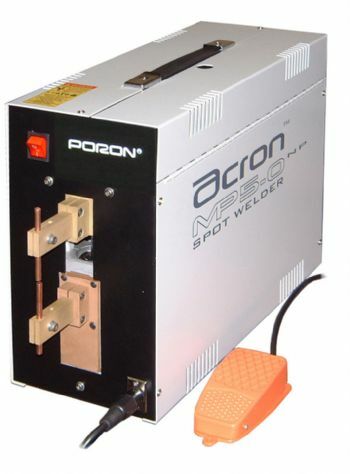 Portable Linear action desktop micro spot welder. Air operated 5kVA 230v single phase. Micro spot welders for fine limit applications such as battery terminals.